Refugees from Africa: Are we being fair? Important changes to the refugee determination system were approved by Parliament through Bill C-11, which received Royal Assent on 29 June 2010. Most of these changes are not yet in effect – implementation is expected somewhere between July 2011 and January 2012. A lot of the details of the process still need to be decided (through rules, regulations and policies). The CCR has been giving input on these matters through recent meetings with the Immigration and Refugee Board, Citizenship and Immigration Canada and Canada Border Services Agency. must consider elements related to the hardships that affect the applicant. This seems to put immigration officers in an awkward position: they must not consider, for example, the fact that a person is at risk of torture, but they must consider the hardships faced by the person, and a risk of torture necessarily entails hardship. In mid-August following the arrival of close to 500 Tamil refugee claimants on the West Coast aboard the MV Sun Sea, the CCR issued a statement welcoming their processing by the authorities in accordance with Canadian and international law. Canada is bound by its international obligations not to send any refugees back to persecution. The story of each claimant must therefore be heard and examined on an individual basis. The arrival of 500 claimants at one time clearly presents practical and logistical challenges, but the numbers are still small in terms of claims made in Canada (less than 2% of the average number of claims made annually in Canada in recent years). The CCR in no way condones the activities of smugglers who exploit for financial gain the desperation of refugees, including perhaps the passengers of the MV Sun Sea. Nevertheless, many refugees have no choice but to use irregular means to flee persecution and international law prohibits them being penalized for illegal entry. Many Canadians would not be alive today if they or their parents had not paid smugglers to help them escape persecution. In an open letter to Minister Tony Clement, the CCR expressed its dismay at the decision to make completing the long-form version of the national census voluntary. This will be detrimental to the work of the CCR and its member organizations, which use census data to inform public policy, and develop effective programs and services that promote the settlement and integration of immigrants and refugees in Canadian society. The data and information gathered through the census are invaluable to organizations like the CCR, which use research on Canada’s newcomer populations to understand trends, to identify gaps in settlement services and policies and to improve programs and services for newcomers to Canada overall. Making the long-form census voluntary will be damaging for many of Canada’s marginalized groups, as they are typically less likely to respond to a voluntary census. This suggests that many refugees and immigrants may not respond, depriving the federal government of a reliable source of data on the current realities in some newcomer communities. This will make it much more difficult to address problems of marginalization in Canadian communities effectively. 1) Debunking Myths about Newcomer Youth - Myths about newcomers create serious barriers to the settlement of refugees and immigrants in Canada by fueling racism and xenophobia within Canadian society. We need to teach and work with our communities to stop harmful stereotypes, ignorance, and racism affecting newcomer youth. If people understand newcomer youth experiences better, they might also be more supportive of efforts to find solutions to challenges facing newcomer youth in Canada. 2) Children’s and Youth Rights under the Immigration System - Canada has signed the United Nations Convention on the Rights of the Child, but the rights of children who are not Canadian citizens are the ones that are respected the least. Canada’s actions do not respect the Convention on the Rights of the Child by keeping children in immigration detention, mistreating unaccompanied asylum-seeking children, and stopping separated families from reuniting in Canada. The UN will soon examine Canada’s respect for the Convention on the Rights of the Child. This is a great opportunity for a national campaign! The Youth Network is developing action plans to kick off these campaigns. In the meantime, there will be a workshop on Debunking Myths about Newcomer Youth and a training workshop on the UN Convention on the Rights of the Child at the CCR Consultation in Calgary, 24-26 November 2010. From 24 to 26 November 2010, refugee and immigrant rights advocates from across Canada will be gathering in Calgary for the Canadian Council for Refugees (CCR) Fall 2010 Consultation, on the theme Fairness – L’équité pour tous. The consultation is an excellent opportunity for all interested to exchange ideas on barriers refugees and newcomers to Canada face before, at and after their arrival in Canada. Consultation participants include: refugees, immigrants, representatives of community organizations, youth advocates, government, UNHCR, academics and international guests. Consultation discussions will address issues that challenge refugees, immigrants, advocates and community workers. In addition to larger plenary sessions, workshops and working sessions will produce strategies for further collaboration and specific actions. Information about the consultation and online registration forms are now available at: http://www.ccrweb.ca/meetings. Register before 5 November to take advantage of the reduced fees! 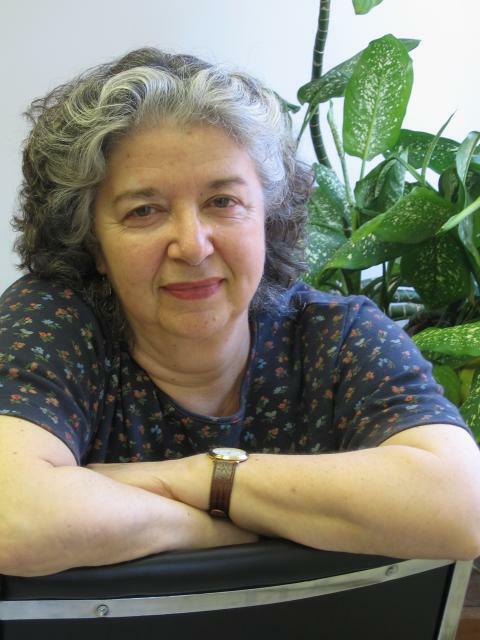 A former refugee and a long-time advocate for refugee rights, Rivka Augenfeld has been involved in the Canadian Council for Refugees and other refugee-serving organizations since the 1970s. Originally involved in refugee resettlement, Rivka first branched into community advocacy and mobilization during the resettlement of ‘boat people’ from Southeast Asia. During that period, she attended her first CCR gathering and “got hooked on meeting people with similar experiences and views. For me it became essential. It was re-energizing and gave me to motivation to continue even through difficult times.” She’s been involved with the CCR ever since in roles ranging from representative of Jewish Immigrant Aid Services of Canada (JIAS), serving as the first co-chair (with Tom Clark) of the CCR’s Inland Protection Working Group, to sitting as a current member of the CCR Executive Committee. Fundraising programs like ‘Friends of the CCR’ enable the CCR to remain independent from core government funding and ensure program sustainability. “Contributing financially to the CCR is just as important as speaking up,” says Rivka. Consider becoming a "Friend of the CCR", a monthly-giving program that allows you to support the CCR with a sustaining monthly donation of $10, $15, $20 or another amount of your choice, through an automatic withdrawal or by credit card payment. For more information and to download a donation form, go to: http://www.ccrweb.ca/eng/donate/Friends.pdf or click the ‘Donate’ button on the CCR website. In response to popular demand, the CCR has produced a new pamphlet outlining the long delays faced by refugees and their families who are waiting for immigration processing in Africa. 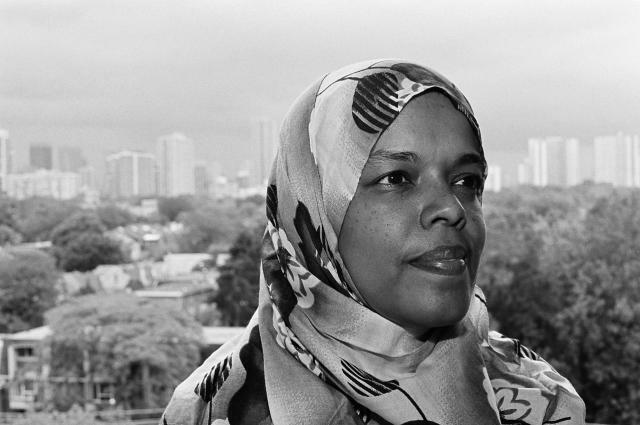 As an introduction to stories of people waiting years for resettlement to Canada, this new resource can be used in your public awareness efforts, paired with the CCR’s 2009 report Nairobi: Protection delayed, protection denied. The CCR recommends that the pamphlet Refugees in Africa: Are we being fair? be shared with private sponsorship groups, local politicians, members of the general public and even refugees abroad awaiting resettlement in Canada. This summary outlines the key changes in Bill C-11, including H&C changes, and principal issues still to be decided. The document is intended to explain the changes already adopted and to provide suggestions of points to advocate for over the coming months.